Police Seek Volunteers To Drink To Excess The Kutztown, Pa., Borough Police Department was overwhelmed with volunteers after turning to Facebook to ask for help with its sobriety test training. The police department in Kutztown, Pa., sought volunteers to help train police officers in sobriety tests. A Kutztown street is pictured here in 2016. Get drunk on the local police department's dime? Sound unbelievable? One Pennsylvania police department is giving three lucky volunteers the chance to help train officers in field sobriety tests, by drinking a lot. Don't bother applying, though. The Kutztown Borough Police Department posted the Facebook request on Wednesday and was flooded with eager volunteers. On Thursday, the department made it clear that this was a limited-time offer. "We have an overwhelming response for this," reads a comment by the Kutztown police. "And at this point we have enough volunteers." The department set a few stipulations when it made the original request. Participants for the training exercise have to be in good health, with a clean criminal record and no history of drug or alcohol abuse. They have to sign a waiver, and they need a sober companion prepared to take care of them afterward. And, of course, they have to "be willing to drink hard liquor to the point of inebriation." To say the town responded enthusiastically to the inquiry would be an understatement. The post was shared more than 1,400 times by Thursday night, and hundreds of people left comments, all for a borough with a population over just over 5,000. "Is there a spectator area?" one commenter wrote. "Will this count as credit for my community service?" another asked. Hopefuls both young and old took issue with the requirement that participants would have to be within the ages of 25 and 40. "Cut off age is 40!!" a spurned volunteer named Danny Wade exclaimed, adding that "This 52 year old Firefighter is willing to give it a run!!!!" 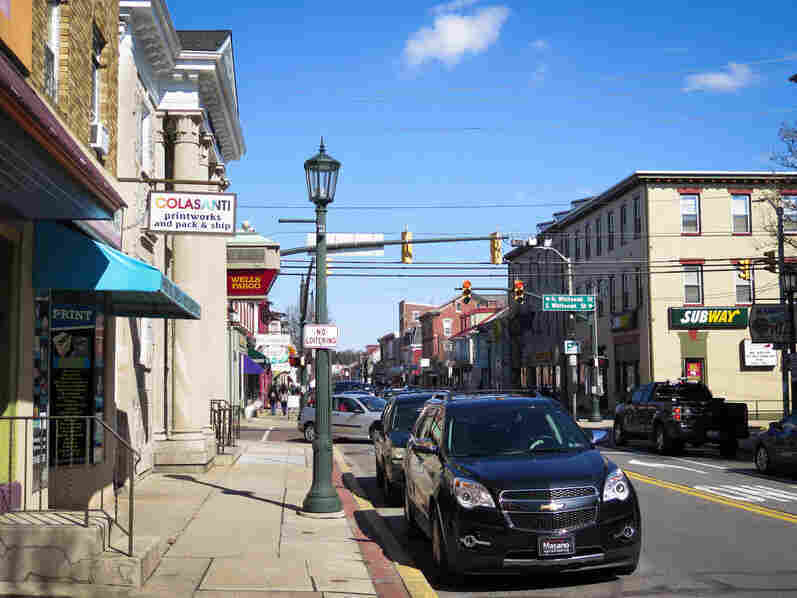 Kutztown, located in bucolic Berks county, sits at the intersection of Pennsylvania Dutch Country, with its horse-and-buggy attractions, and state-owned Kutztown University, just outside the borough's boundaries. "Kutztown is a college town, everyone's drunk," one Facebook comment reads. The sobriety test training won't take place until April, and it's unclear what aptitude test Police Chief Craig Summers will employ to choose from among the volunteers. But, at least for now, it seems that all eyes in Kutztown are on Summers — and the three golden tickets he'll soon hand out. As far as other sobriety tests, marijuana use is illegal in Pennsylvania. So Kutztown police won't likely be looking for stoned volunteers anytime soon.